Ah, it’s good to be home. Not, I assure you, that being in Scotland isn’t good, but still. We’ve had a mostly wonderful couple of weeks (photographs will be forthcoming on Flickr when I get around to uploading), and as usual the weather’s been myth-defyingly sunny. Luckily it’s mostly windy enough in the Hebrides to keep the temperatures at a pleasant level even when there’s not a cloud in the sky. One of the many reasons I haven’t been updating much lately was also the reason for the not-so-wonderful parts of the holiday. 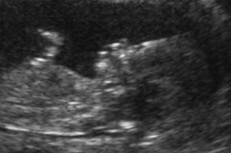 For those not yet in the know, I’m now around 15 weeks pregnant (I thought I’d better wait until I told my employer before I started blogging the fact…). This means, of course, that I had to stick to mostly nosing all the wonderful whisky lavished on us at every stop (well, not all of it was wonderful, I can’t say I minded not being able to drink when we visited Tobermory, for example, but hush, don’t tell them…). Martin claims it saved us a whole lot of money, as the nights at the pub were short for both of us and sparkling water and orange juice is cheaper than cider and whisky anyway. This was a foreseen hitch, though, and a sacrifice I was reasonably happy to make (most of the whiskies were, to sweeten the pill, stuff I’ve tasted before and may drink again whenever I want in about a year). There was however a not-so-wonderful incident on Saturday when I started bleeding pretty heavily just after lunch. I have therefore had the relatively unusual experience of being admitted to the hospital on Islay and spending a night in their care. The midwife, doctors and nurses were kind and as helpful as they could possibly be, still, it was an experience I could have done without quite happily. However, things settled down and we were given a referral to the Queen Mother’s Hospital in Glasgow (we were on our way to Glasgow anyway – had things not settled down I would have been flown over to the mainland, as it was I was happy to make my own way on the ferry and buses) where we were scanned and pronounced to be in good shape. Whatever caused the bleeding seems to have had little to do with the pregnancy and doesn’t seem to have bothered the baby at all. Which is reassuring. I’m still feeling a bit apprehensive and looking foreward to the stage where I will actually feel the baby’s movements (an active little creature, according to the nurse who did the scanning, though I can’t feel a thing), which will probably not be for another couple of weeks. This week I’ll be seeing a local midwife and meet other expecting mothers, which should be interesting. Oh, and the due date is new year’s day. How silly is that?